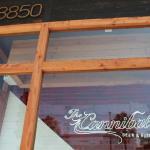 Home Dining Inside Look: Meat Paradise Cannibal Opens in L.A. 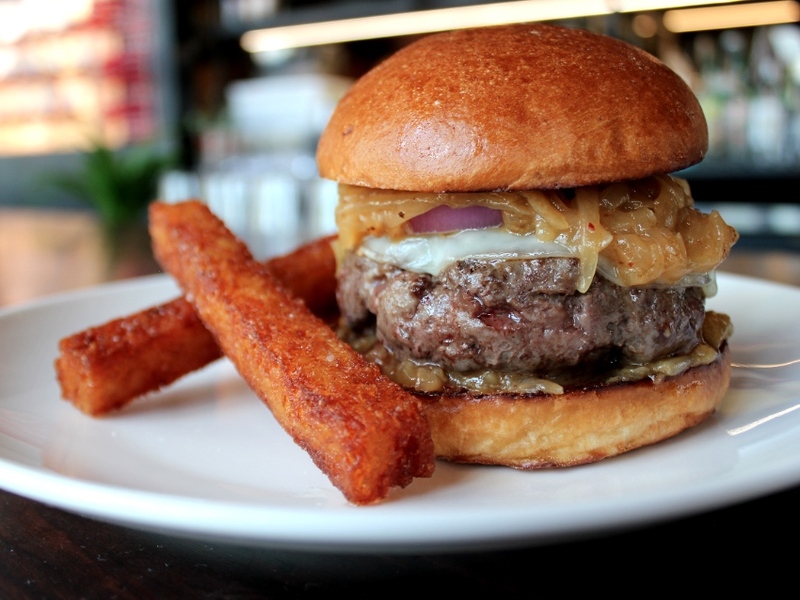 The burger is one of the dishes The Cannibal's chef Francis Derby is most excited for. Yes, those are giant tater tots. 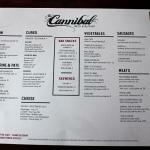 Inside Look: Meat Paradise Cannibal Opens in L.A.
We were pretty excited when we heard that Christian Pappanicholas and Cory Lane were planning an L.A. outpost of The Cannibal, their New York beer and butchery destination, at Culver City’s new Platform complex. 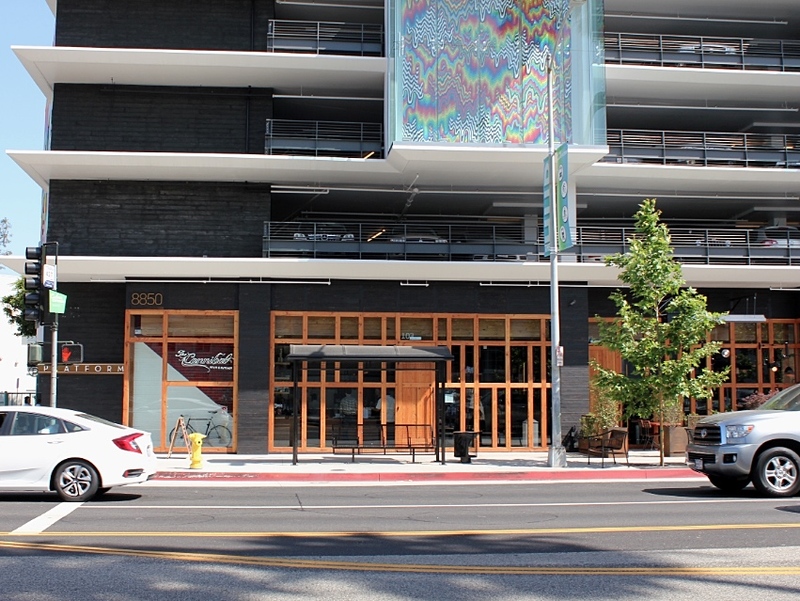 After a long wait (it was originally slated to open in the fall), and a teaser opening of its butcher shop last week, the full restaurant makes its official debut tonight. Even if you’ve been to the original, there are plenty of reasons to think that our version will be even better. Here’s why. 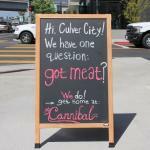 The Cannibal is at the trendy new Platform complex in Culver City. The place is gigantic compared to the original digs. 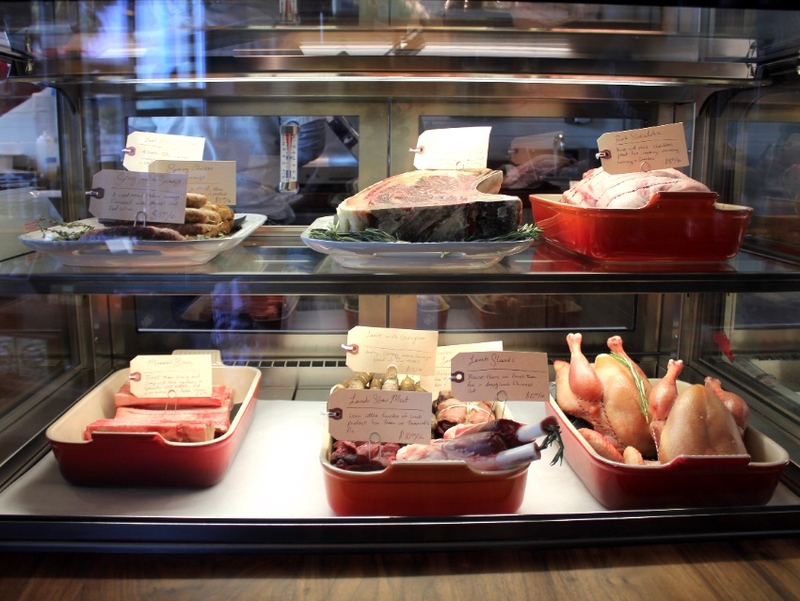 Diners enter through the butcher shop, which sells lamb sausages, marrow bones, country ham, pork shoulder, and other fancy meats from 8 a.m. to 6 p.m. daily. 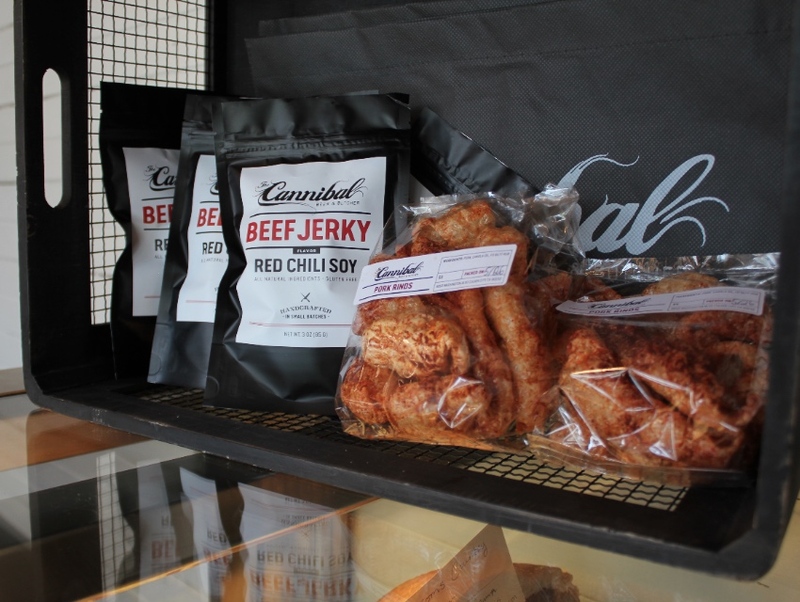 It also functions as a deli with a menu of sandwiches and salads, plus snacks and pantry goods, from Heinz Ketchup and Pocky Sticks to Sqirl jams and the Cannibal’s own jerky and pork rinds. 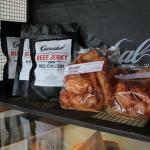 The deli is stocked with protein-packed snacks. 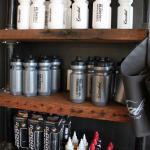 Just in case you need some bike chain lube with your pork rinds, the deli stocks cycling gear, too. More seating indoors and out. 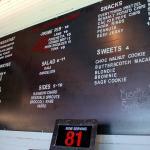 The restaurant itself isn’t overly stylized or stuffy—cement walls and wood tables keep it stylish, minus the frills. 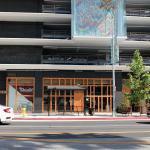 There are two, four-tops, and a few communal tables along with patio seating that looks out onto Washington Boulevard and the Expo line. 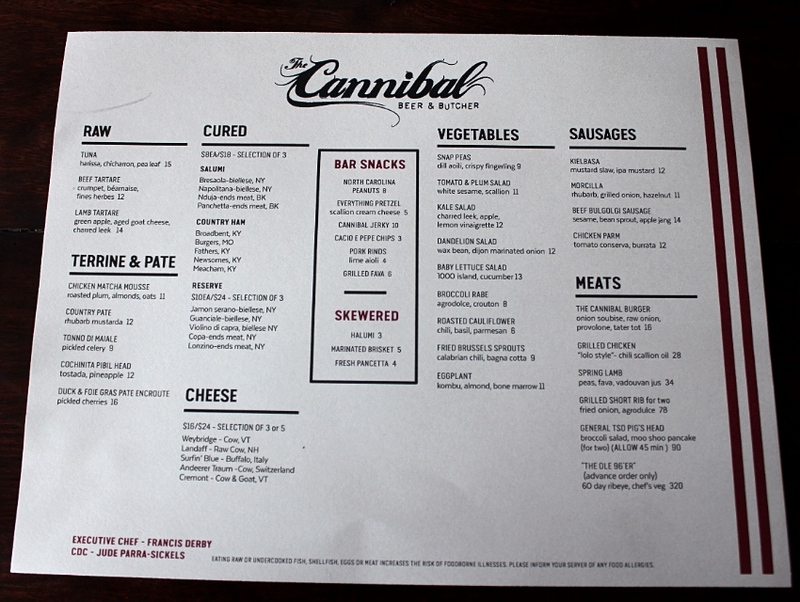 (Go ahead and have that third beer—the train conveniently stops at the Cannibal’s front door.) 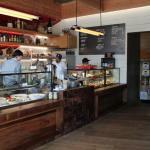 A full bar anchors the dining room and a semi-open kitchen allows for a peek at the action. 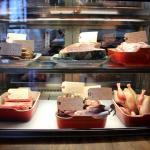 As with the spot back east, charcuterie is a centerpiece, with terrines (including an intriguing cochinita pibil pig head), pates, and cured meats splayed out on wooden boards. 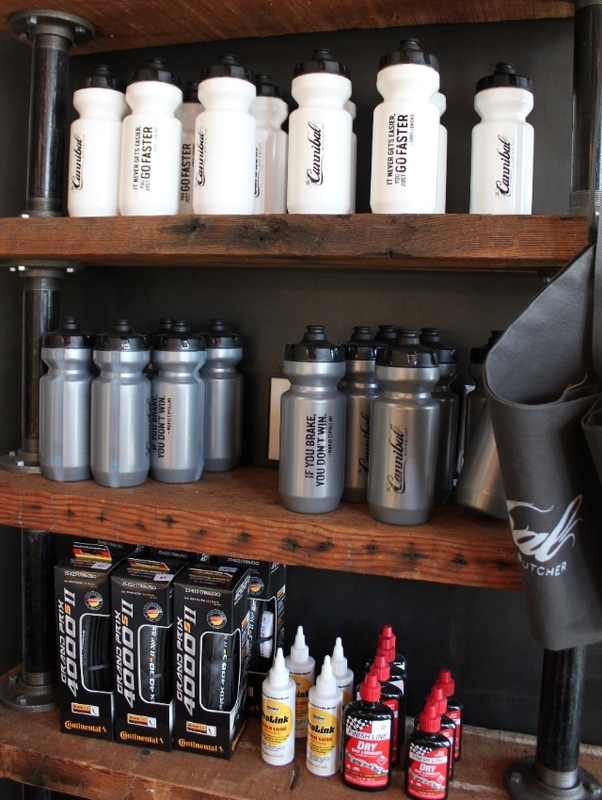 But for the L.A. menu, Derby has made a few additions. There’s a burger topped with a harissa-spiced onion soubise and provolone that the chef is excited about and a Flinstones-esque grilled short rib for two (possibly three). 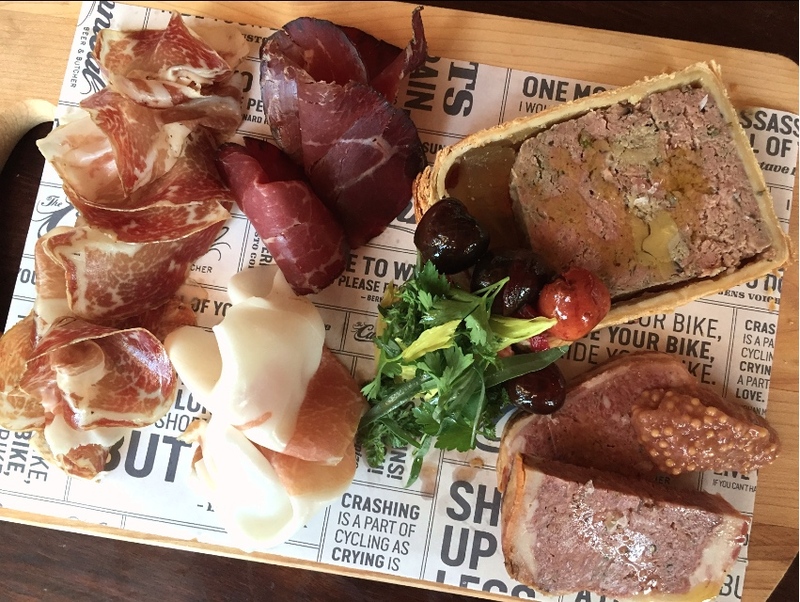 Trust us, get the charcuterie. 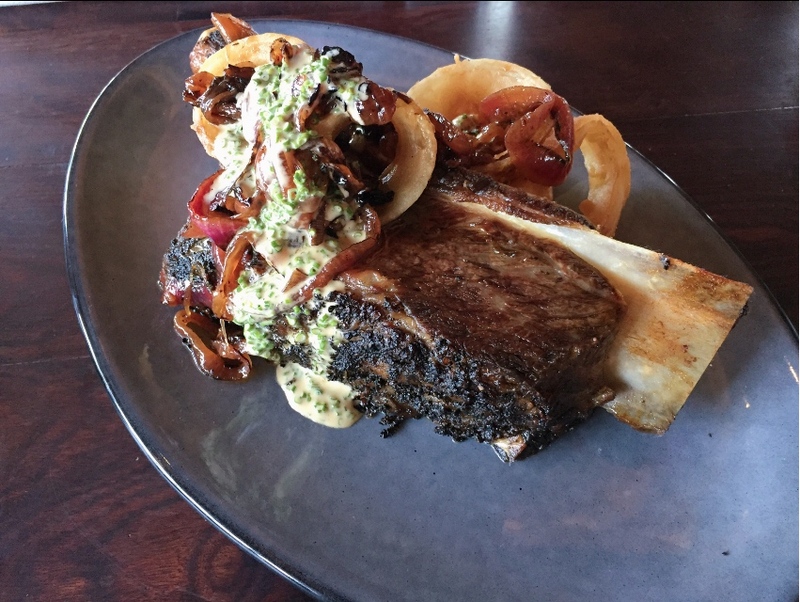 The Grilled Short Rib is huge, but it’s mean for two. It could probably feed three. In New York, the cooks do what they can in a small space, working magic with panini presses and Easy Bake ovens. 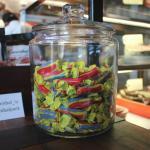 But thanks to Culver City’s expansive new kitchen, the food here will actually touch flames. 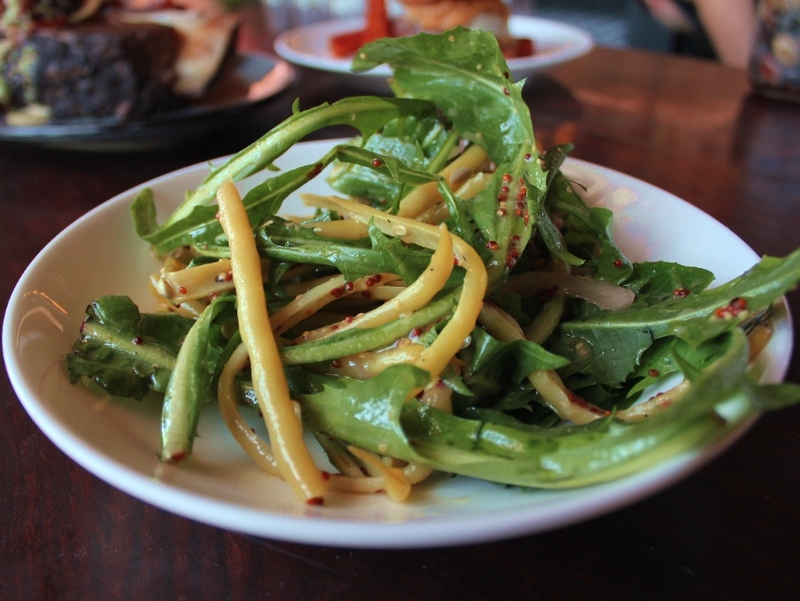 The Dandelion salad sports wax beans and dijon onions. 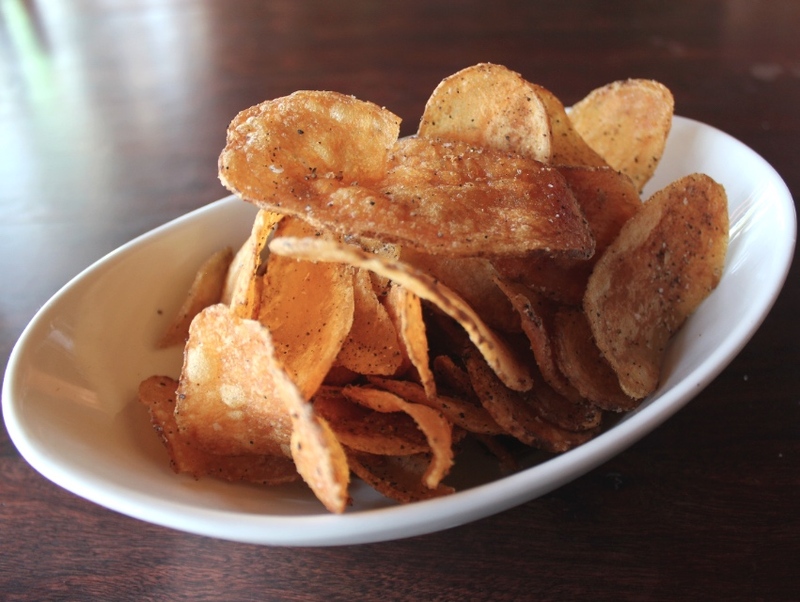 Bar snacks, like the Cacio e Pepe chips, are dangerously addictive. 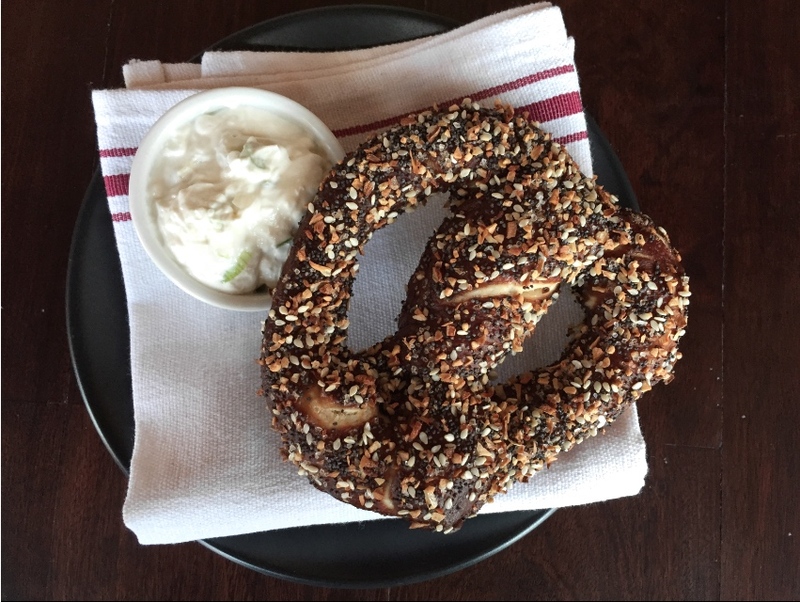 The Everything Pretzel is actually everything, so is the chunky scallion cream cheese it comes with. 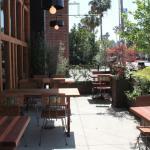 The team hopes to bring the neighborhood feel of the New York locations to Culver City. The bar could go a long way in that regard. 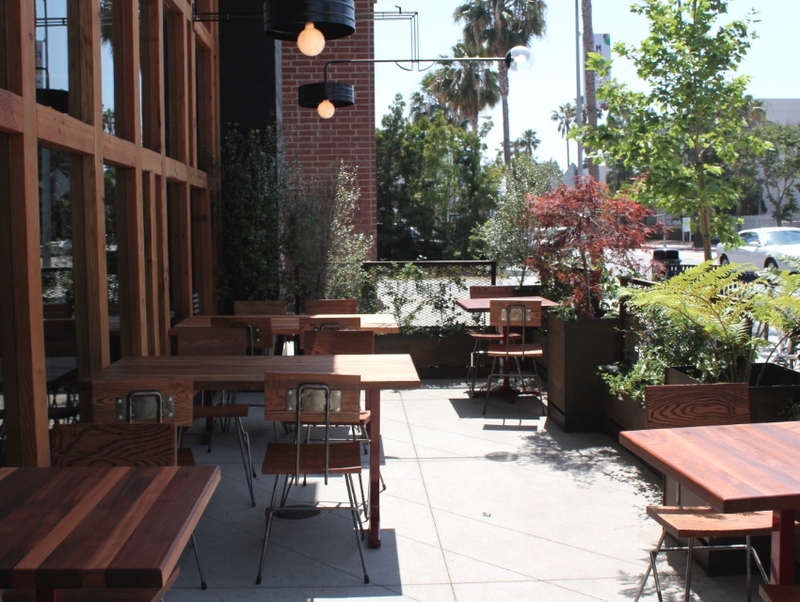 The goal is to get Angelenos to squeeze in and stand shoulder to shoulder while sipping draft cocktails and brews from a 500-plus beer list. 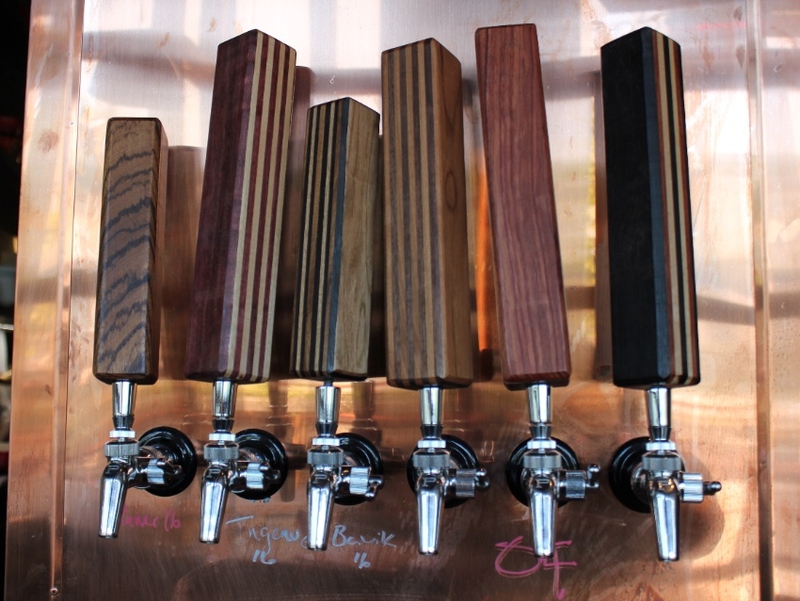 Ten beers will rotate on the tap, which is kept in ship-shape order by a futuristic draft system they call the Flux Capacitor. Bar snacks like pork rinds, addictive (no, seriously) Cacio e Pepe chips, and skewers (think fresh pancetta and marinated brisket) go awfully well with the La Chouffe. 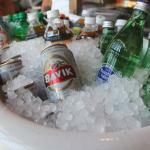 A few cocktails, like the beer, spew from taps. 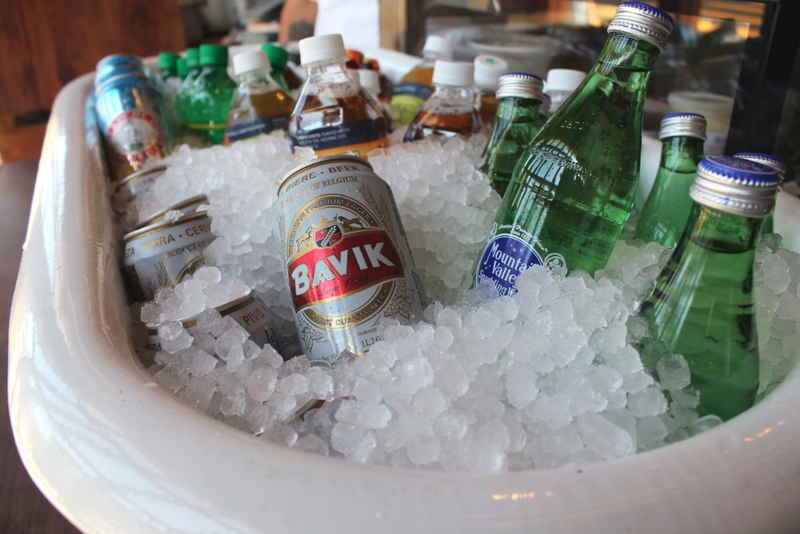 There are more than 500 beers available. 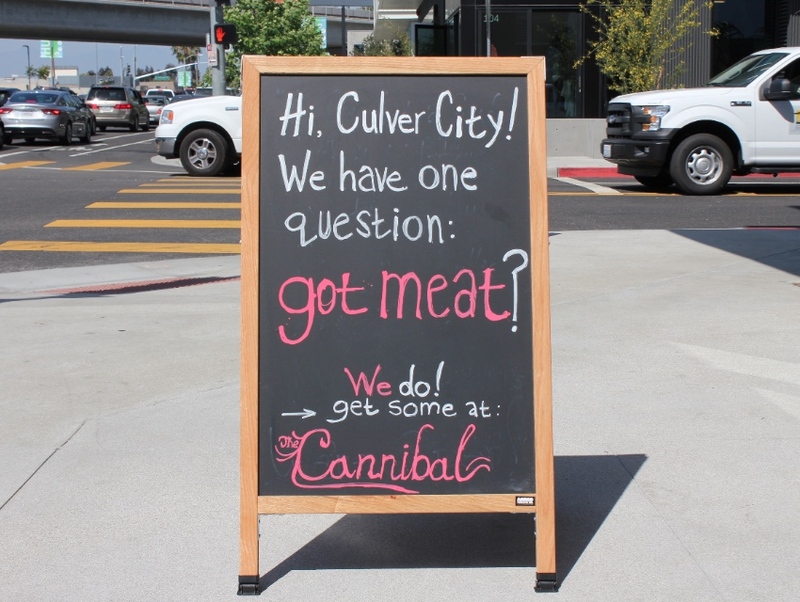 You’ve got a lot of things going for you Cannibal, but chalkboard humor is not one of them.